Zeus dated his lover Europa, often making Hera jealous. In order to punish Europa, Hera trapped her on an isolated isle and created complex Labyrinths on the isles to imprison her. Because of the complexity of the labyrinths, it's difficult for common people to find her.Zeus knew he was in the wrong, but he couldn't bear Europa's great suffering. Thus, he secretly asked Ares and Athena to call on their people to rescue Europa. Whoever succeeds in finding her will receive abundant rewards from Zeus. 1. After reaching Level 50, find the "Labyrinth Quest Envoy" and start the Labyrinth quest chain, which consists of 5 quests. 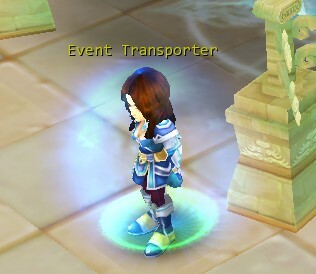 After that, click the [NPC]Event Transporter(142,-38) to enter the Labyrinth. 2. There are nine isles in the Labyrinth, with each of them having four teleportation spots that allow for transport to different isles. Talk with "Zeus' Envoy" in the Labyrinth to get the item "Zeus' Oracle 1". 3. Find "Zeus' Envoy 1" and give "Zeus' Oracle 1" to him, and you will obtain "Zeus' Oracle 2". Go on finding "Zeus' Envoy 2" and give "Zeus' Oracle 2" to him and so on until you've given "Zeus' Oracle 5" to "Zeus' Envoy 5". The five Envoys are located on each of the five different isles. 4. You will be rewarded for completing any part of the quest chain. After completing one part, you will be able to start the next part. The closer to the last part you get, the better the rewards will be. 5. Each player will be able to complete the quest chain only once each day. If you don't complete the quest chain within the allotted time, you will retain all quest items so you can continue the next time. Exp rewards are in accordance with the players' level.